You can refer to individual array elements by using subscripts. You can also refer to an entire column of an array by using a superscript. To type a subscript, use the left bracket key” [ ” and put an integer or a pair of integers in the placeholder. To insert a superscript operator, press [Ctrl]6 and place an integer in the placeholder. 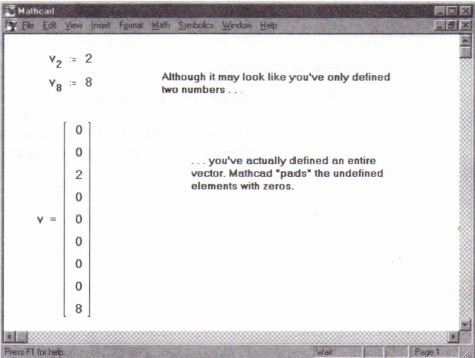 Vector and matrix elements are ordinarily numbered starting with row zero and column zero. To change this, change the value of the built-in variable ORIGIN. 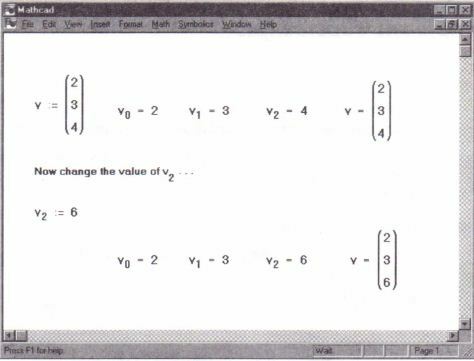 See “Changing the array origin” on page 188. When you define vector elements, you may leave gaps in the vector. 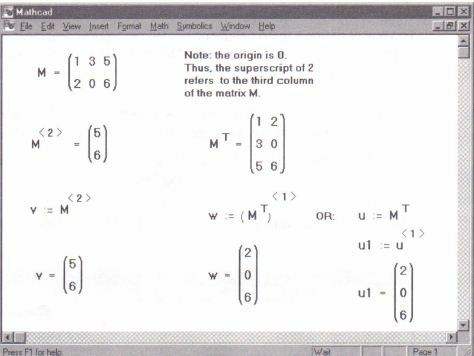 For example, if v is undefined and you define v3 as 10, “o- vI’ and v2 are all undefined. 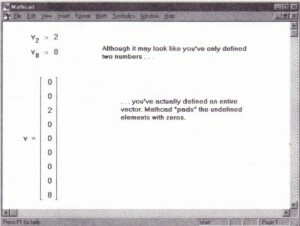 Mathcad fills these gaps with zeros until you enter specific values for them, as shown in Figure 10- 3. 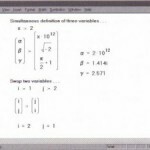 Be careful of inadvertently creating very large vectors and matrices by doing this. Note that the subscripts, like division and exponentiation, are “sticky.” Whatever you type after [ remains in the subscript until you press [Space] to leave. If you want to add more to the equation, press [Space] to place the entire matrix element name, Mi,} , between the editing lines. 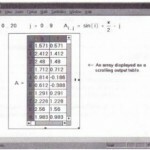 To refer to an entire column of an array, press [Ctrl]6 and place the column number in the resultant placeholder. 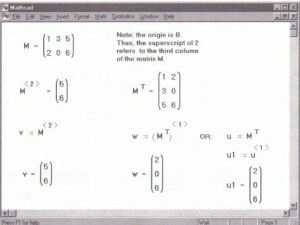 Figure 10-5 shows how to place the third column of the matrix M in the vector v.
• Choose the Options command from the Math menu, click on the Built-In Variables tab, and change the value of ORIGIN. • Enter a global definition for ORIGIN anywhere in your worksheet. For example, to change the ORIGIN to one, type: ORIGIN-1. 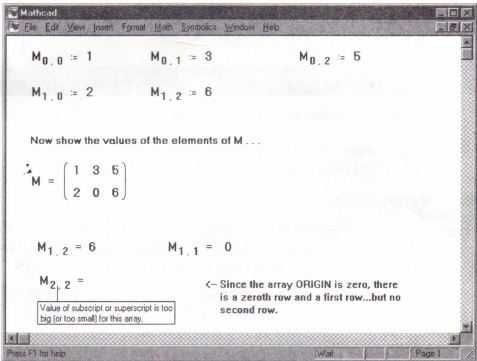 If you change ORIGIN to one, Mathcad no longer maintains an element zero for vectors or a zeroth row and column for matrices. 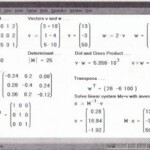 Figure 10-6 shows a worksheet with the ORIGIN set to 1. Note that when you try to refer to V Mathcad displays an appropriate error message. 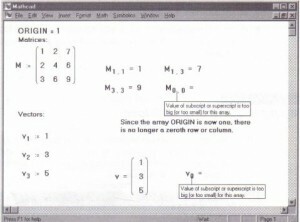 • If you define ORIGIN with a definition in the worksheet rather than using the Options command on the Math menu, use a single global definition, Although you can redefine ORIGIN with a “: =” this will invariably lead to confusion, Changing ORIGIN in the middle of a worksheet can cause confusing effects. Array elements will seem to have shifted n positions, where n is the difference between the old ORIGIN and the new ORIGIN. • Don’t forget to type ORIGIN in capital letters. 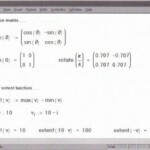 Mathcad variable names are casesensitive. Because ORIGIN is a built-in variable, its name is not font sensitive. It is however, still case-sensitive. 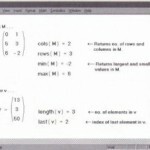 • When you define an array, Mathcad assigns zero to any undefined element,s. See Figure 10-3 for an example. • If you inadvertently define an array starting with element one when ORIGIN is set to its default value of zero, you will get unexpected answers with array functions like mean andfft. This is because Mathcad will automatically define Xo = 0 for all these arrays. This extra element distorts the values returned by array functions. To avoid this problem, choose Options from the Math menu, click on the Built-In Variables tab, and set ORIGIN to 1. 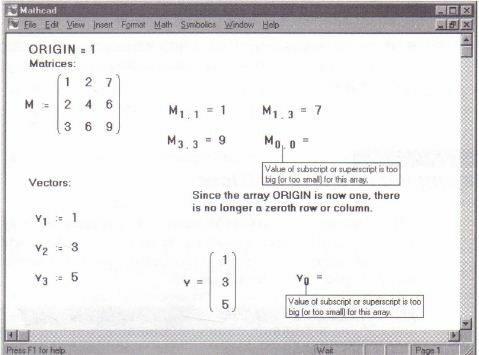 • You can use ORIGIN to define variables with negative subscripts. 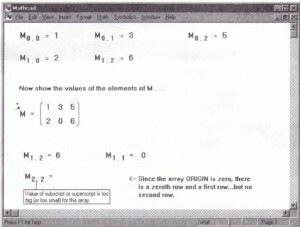 If you set ORIGIN to -10, all arrays will begin with element -10.